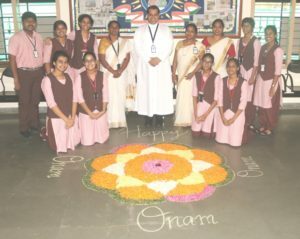 ONAM, a festival of gaiety and culture, colour and exuberance, pookkalams and onapaatukkal, mouthwatering sadyas and the breathtaking sport of Vallam kali, was celebrated here, at LCS. 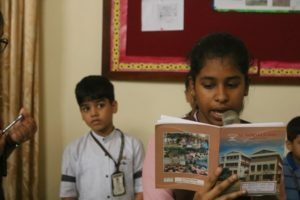 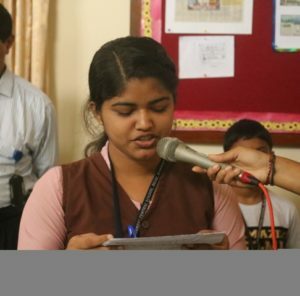 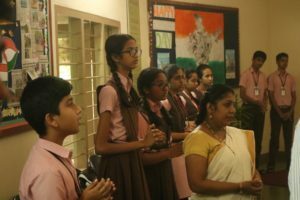 A grand assembly was conducted by the Malayalam speaking teachers and students of class 11 and 12. 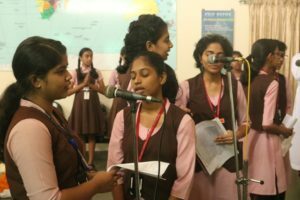 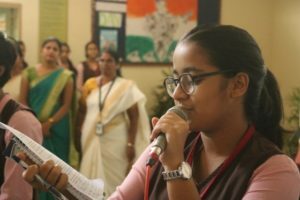 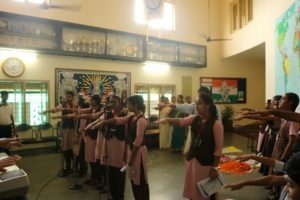 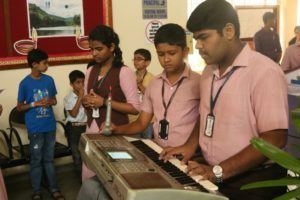 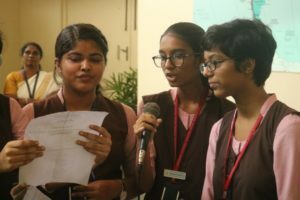 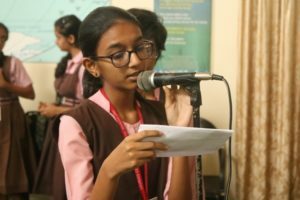 And a list of enthralling events had been lined up, including the striking performance of the onapaatukkal by the girls of grade 11 and 12. 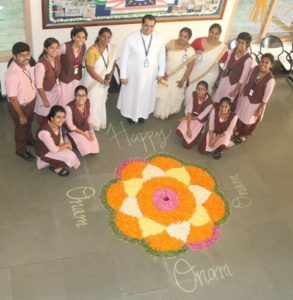 It was like Kerala’s mythical king Mahabali, or as the Keralites call him with love king Maaveli had blessed us all with happiness and the very true spirit of Onam. 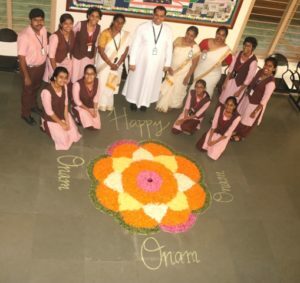 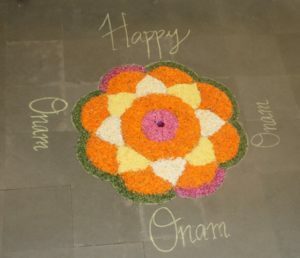 An eye-catching pookalam was set up in the lobby, enhancing the celebratory air of Onam. 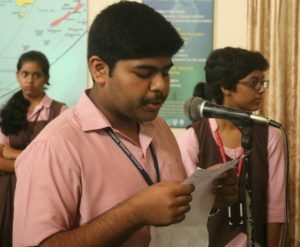 Unfortunately this year, in view of the worst devastation in nearly a century suffered by Kerala due to rains and floods, their government had cancelled the Onam celebrations, and paying tribute to these flood victims, we at LCS have not only donated relief materials but also rendered our great support possible through the agencies.